Laura Ubelhor is owner and operator of Consultech Services, Inc. and longtime advocate for IBM i education. Consultech, established in 1992, specializes in application development and support on IBM i and other platforms. Laura has a Masters of Science in Management Degree from Walsh College. 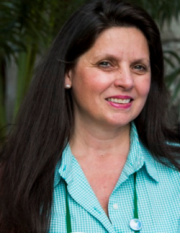 Laura is a longtime volunteer with SEMIUG, currently serving as President and with COMMON currently serving as Secretary of the COMMON Education Foundation.